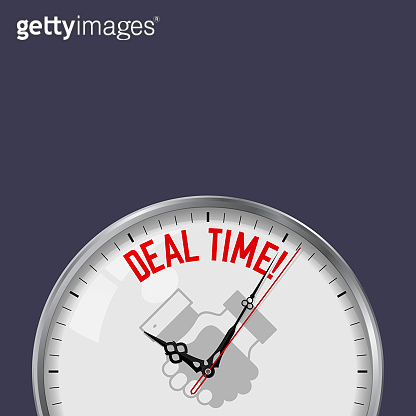 Deal Time. White Vector Clock with Motivational Slogan. Analog Metal Watch with Glass. Vector Illustration Isolated on Solid Color Background. Handshake Icon.